We have visited North Carolina multiple times in our travels. We stayed at Orchard Lake Campground on our way back to Georgia. This is a wonderful campground with really nice staff. The road in from town is not for the faint of heart though we had no problems with our 53' Rig. The whoop-de-do is a week-long, acoustic jam at the KOA Campground, 123 Harmony Mountain Lane, Boone, NC (northwest corner of NC at 4,000 ft elevation. The jam begins 3 pm Sun., July 15, 2018 and ends Sat., July 22,2018. The jam is free, but there is a charge for KOA camping or other lodging. There is opportunity, but no obligation, to play all day, every day. The week is easy-going and relaxed. For more information, contact sarasw@aol.com. 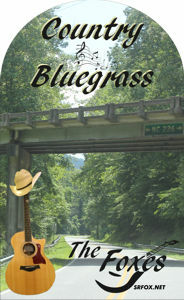 For KOA information/reservations, contact Boone KOA at 828-264-7250 or go to the website at www.BooneKOA.com.